Lock in a great price for Shangri-La Hotel, Dubai – rated 8.9 by recent guests! All staff was friendly, welcoming and attentive. The people who cleaned the rooms checked in every evening to see if we needed anything. One day we had our do not disturb sign on and they left a note explaining that's why they didn't clean the room but left instructions on how to do so. A wonderful view of the Burj Khalifa from our corner room. Excellent staff and service in the Horizon Club. The location was wonderful, the staff were always helpful, kind and professional. The room was very comfortable with an amazing view. The ground floor buffet lunch was amazing value. The car service from the airport was great, our driver was waiting for us. All very nice at this hotel and we would return. All thing was excellent, clean room, wonderful view to burj Khalifa and Shikh Zaid road, the staff was friendly, the free shuttle to Dubai mall, the room design and the high speed elevators :) I was in level 37 and I reach the ground floor in few seconds. Thank you Shangri-la. The staff were very helpful, cheerful and kind. This is my second time in Shangri-La and I really love it! Stayed at king deluxe on 38th floor. The bathtub is as big as it gets. The view is amazing. Pool and facilities are open until 10 pm. Staff is extremely polite and friendly. In house restaurants Hoi An and Shang Palace are top notch and must try. Shangri-La Hotel, Dubai This rating is a reflection of how the property compares to the industry standard when it comes to price, facilities and services available. It's based on a self-evaluation by the property. Use this rating to help choose your stay! 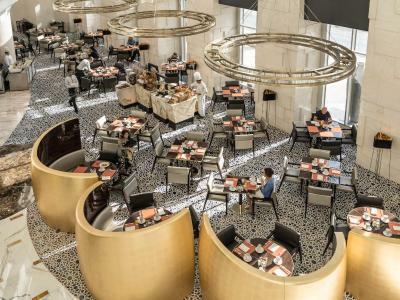 One of our top picks in Dubai.Centrally located along Sheikh Zayed Road, 10 minutes’ drive from Dubai Mall and Burj Khalifa, this 5-star Asian themed hotel features two swimming pools, an extensive health club and spa, free WiFi and eight restaurants and bars. The 302 elegantly appointed guest rooms and suites incorporate geometric design patterns and feature free WiFi, flat-screen TVs, working desks and a fully stocked mini-bar. The luxury bathrooms feature deep soaking tubs and walk-in showers. Visitors are spoiled for choice when it comes to dining. 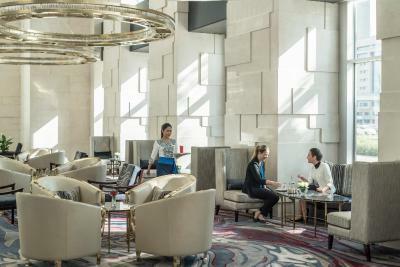 Shangri-La Hotel, Dubai, offers a range of sophisticated dining options through our eight restaurants and bars to suit all tastes. Experience the signature restaurant of Shangri-La Hotels worldwide, Shang Palace, and enjoy a delightful taste of traditional Cantonese cuisine. Spend an evening at ikandy ultralounge, a relaxed, funky outdoor lounge, with incredible views of the Burj Khalifa which blends poolside bliss with signature cocktails, flavored shisha and delicious light bites. Hotel Shangri-La Dubai is a 5-minute walk from Financial Center Metro Station, and less than a 5-minute drive from Jumeirah Beach Park. Dubai International Airport is 15 minutes away by car. When would you like to stay at Shangri-La Hotel, Dubai? Deluxe Sea View King Rooms have stylish comfort with the luxury of space. The rooms feature an inviting earth-toned design based on warm sycamore veneers. The interiors are also decorated with original local artwork and feature sea views of the Gulf. Kindly note twin beds are subject to availability. This spacious, elegantly furnished suite features panoramic views of the Arabian Gulf. It includes a separate living room, a dining area and a private bathroom. This air-conditioned suite offers L' Occitane bath amenities. 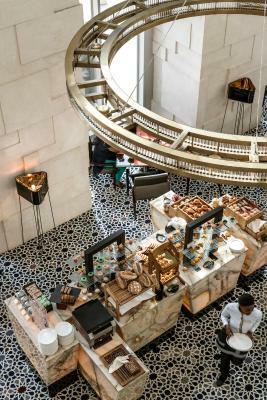 House Rules Shangri-La Hotel, Dubai takes special requests – add in the next step! Shangri-La Hotel, Dubai accepts these cards and reserves the right to temporarily hold an amount prior to arrival. Please note that we accept all major credit cards at the hotel. For all bookings that require advance payment, a secure link will be sent by the hotel reservations team for credit or debit card payments. Payment is required to be made at the time of booking. Bookings may be canceled in case of non-payments. For all flexible and semi-flexible bookings that do not require an advance deposit, a secure link will be sent by the hotel reservations team for credit card validation and pre-authorization of the value of the first night’s stay. Validation is required to be made 14 days prior to arrival date. In the event of cancelations or no show, the card will be charged based on the cancelation policy mentioned in your booking. 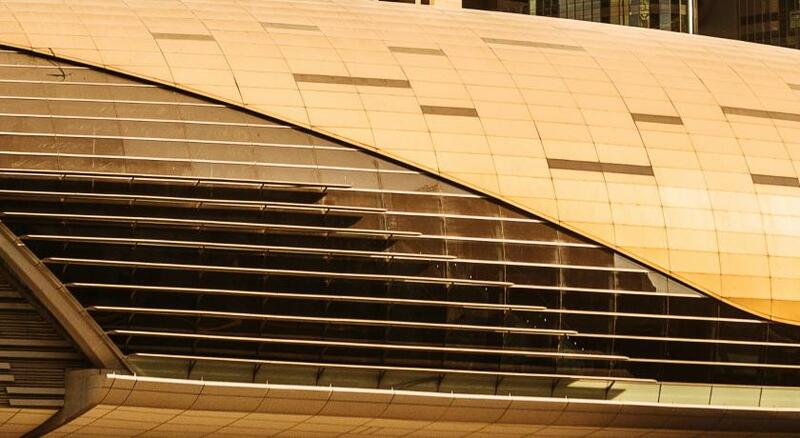 An excellent 5 star hotel close to the Dubai mall and Burj Khalifa. The staff were friendly and courteous and were always on hand to help resolve any queries. The rooms were spacious and comfortable with high quality towels and bed linen. The included buffet breakfast was superb with so many choices on offer. The rooms were spotlessly clean as was the hotel overall. All of which helped to make for an excellent city break in Dubai and I have no hesitation in highly recommending this hotel. The hospitality and the service from the staff was great! From servicing the rooms to helping us out with queries. The location of the hotel was fantastic, and the free shuttle to popular locations was a bonus! The view of the Burj Khalifa from the room was awesome! The hospitality was outstanding, staff were always happy to help and very polite. The quality of the room was incredible, the city view was outstanding. Would defiantly recommend and would return. We had 2 bedroom apartment , the cleaning was so bad , you could smell the dirt, the carpet & furniture is sooo old , needs to be replaced, the master bathroom there is no water hose near the toilet seat, I hate to move during the washing & the toilet Walls & floor is so old . The mattress & pillows are uncomfortable. I hope to consider these comments. I came to the name of Shangri-La as a world class hotel. My daughter and I didn't enjoy the dim-sum lunch at the Chinese Restaurant which I felt was no up to the level of dimsum that is usually served at Shang's Chinese Restaurant in Malaysia. The variety was lacking and too many vegetarian dimsums. Even the fried rice was a vegetarian option under the set lunch dimsum lunch menu. The HK noodles had not enough gravy and was very dry. Overall a very disappointing lunch. There was nothing I didn't like about this hotel.